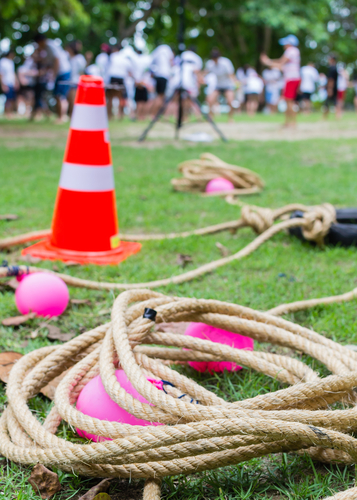 Are you organizing a team building activity or a corporate event? Why not also treat your employees to some custom company gear! When you order outdoor equipment from REI, you can choose from three different styles of personalization: embroidery, screen printing, or pad printing. REI’s Corporate & Group Sales Team takes great pride in their ability to not only portray your logo accurately but also finish the project promptly. Plus, their outdoor equipment always uses sturdy, high-quality materials, so your employees can wear their jackets, sweatshirts, and other gear long after the team building or event has ended. While embroidery, screen printing, and pad printing each have a unique look, they each create a sense of company pride and camaraderie. Visit REI.com for a Project Estimate! To order your own custom corporate gear or to learn more about the three different styles of personalization, visit REI’s website today.